Allhouse, M. (2014). Room 101: The social SAC. Studies in Self-Access Learning Journal, 5(3), 265-276. 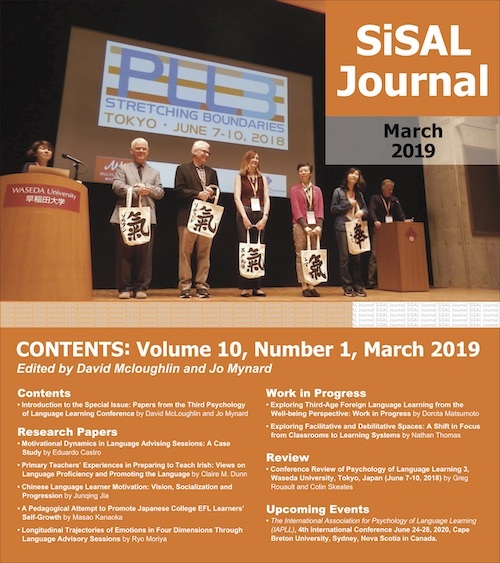 Welcome to the new SiSAL column, which will be a case study of one SAC, Room 101 at the University of Bradford, UK, by Michael Allhouse. In this three-part column, Michael explains how he and his colleagues have responded to the changing face of foreign languages provision at the university, and the growth of the Internet as a source for language learning materials. Like many SACs which were opening in the 1980s or 1990s, Room 101 was originally promoted as a place to access traditional learning materials in physical form. By reinventing Room 101 as a social learning space, Michael has capitalised on the dynamism of the users of the space to make the centre an attractive place for students from all over the world, and user numbers have grown accordingly. As many self-access centres struggle with similar issues and are constantly under pressure to keep relevant to their users, this column may offer food for thought for practitioners in other contexts. In this first installment, Michael first describes the changes that have taken place at his institution, the different options he explored, and how he reinvented Room 101 as a social learning space. The second two installments will describe research conducted into student usage and perceptions of the new Room 101, and a wider survey of UK SAC practitioners respectively. I hope you enjoy reading about this very interesting SAC and how it has responded to the changes in the higher education context. This column looks at the SAC at the University of Bradford (UoB), which is commonly known as Room 101. The column looks at how Room 101 has reacted to the problem of reduced usage as a result of the cancellation of foreign language courses at the UoB, social media making online communication between learners easier, and the availability of online resources which have reduced the perceived importance of SAC resources (such as books and CDs). Room 101 has adopted a materials-light, people-focussed approach which has led to increased usage. Other solutions were tried and are detailed in this instalment, with examples from the literature. Room 101’s approach has centred on facilitated social learning opportunities and a friendly, student-led atmosphere, with many students working in the Centre. This instalment is the first of three; the following instalments will look at research conducted into student and staff thoughts on the current state of SACs in UK Higher Education. The Self-Access Centre (SAC) at the University of Bradford (UoB), in Yorkshire, UK, is known as Room 101 (the room’s number is one hundred and one). Room 101 has been on an interesting journey over the last decade. It was part of the Language Centre until three years ago when its management was moved to the Students’ Union, the University of Bradford Union (UBU), although it still works very closely with the Language Centre. Over the last 10 years, Room 101 has adapted its approach, becoming more of a social learning space (a space where students learn from each other in person – in our case mostly through social interaction in the form of speaking and listening practice, sometimes in structured environments, sometimes unstructured). This has led to Room 101 becoming very popular with students and winning awards such as the Vice Chancellor’s Award for Distinguished Teaching Support 2014. This column (this instalment and the two following) will look at how Room 101 arrived at its social learning provision, how successful it has been, and whether any recommendations can be made for other institutions. This instalment will examine how and why Room 101 has moved its provision away from a resource-based focus, towards a more people-based social learning approach, looking at the reasons for this change and other provisions that were tried. The second instalment will go into more detail about our social learning interventions and look at a survey conducted in 2013 of Room 101 users, which attempted to measure what users most value about Room 101. Finally, the third instalment will look at a survey the author conducted of other SAC managers which looks at how recent technological developments and changes in language provision have had an impact across the sector and how SAC managers have responded. I was inspired to begin researching and writing about SACs after visiting three UK universities in the summer of 2013, where SACs had recently been closed, substantially scaled back, or integrated into the library. This brought threats of closure which had hung over Room 101 into perspective and caused me to reflect on the current status of SACs in UK HE. I have worked in Room 101 for the last 18 years, and seen it change considerably. Up until 2006 the UoB Language Centre offered foreign language degrees and postgraduate qualifications, which have now ceased. The Language Centre now offers English access courses (pre-sessional courses and an international foundation programme) and EAP support for existing international students. When foreign language courses were first discontinued, usage of Room 101 declined, bringing concerns about closure. At the same time that the provision of foreign language degrees was declining at the UoB, online language learning resources were increasingly providing a perceived alternative to physical SAC resources. The availability of online English practice material, and the increasing affordability of personal computers meant that students now had other options for access to English practice resources. In focus groups, students told me that access to language learning resources over the internet made physical resources seem less attractive to them. Indeed, this was my experience, as year-on-year I observed students seem less and less interested in using physical resources such as books, CDs, and DVDs. This was also observed by researchers such as Reinders (2012). Cotterall and Reinders (2001), looking at the SAC at the English Language Institute at Victoria University of Wellington, found that students were sometimes reluctant to use the SAC, with other priorities often getting in the way. Mynard (2012) also gives examples of SACs struggling to attract students to self-access and being used as homework rooms for language students. This was the trend I was increasingly observing in Room 101. By 2006 usage of Room 101 was in serious decline (see below), and I began to look for other ways to engage students in language learning, or for other ways to help international students in UK HE. Over the last ten years I had found that when Room 101 focused on the provision of physical resources, students failed to engage with us and usage declined. Indeed in 1999, when language courses were at their peak, usage was as high as 60 students on average per day. By 2006, when foreign language classes had ceased, usage was down to as few as 10 students on average per day. International students told me in focus groups that the reasons they did not come to the SAC to do self-study were partly due to time constraints and partly due to provision available on the internet. Doyle and Parrish (2012) conducted a study which asked students in several universities in Japan how they liked to learn English outside of class. They found that students did not mention books, electronic, online or multimedia resources, or SACs, but instead spoke about practicing speaking. This reflects my own experience, and in focus groups students told me that whilst they feel they can use online resources at home whenever they like, they prefer speaking with others in person, in informal and semi-structured settings, particularly with native speakers. Taking this feedback on board, I began to design learning interventions which would give students practice speaking and listening in a social, fun way. This took the shape of a debating club, IELTS speaking practice, a film club, art club, presentation skills practice and other similar activities, run by myself and home student volunteers. I also started to look at creating a community of students, through internationally-themed social events and a generally friendly tone. I began to feel that physical learning materials were no longer a strong draw to the Centre and in fact made Room 101 look out of date. However, whilst I no longer focused on language resources, I did leave some of the more up-to-date books and CDs on the shelves, seeing them as setting the tone of the Centre as a language learning space. Room 101 has a large number of computers which students use to do work or use social networking sites. The computers and printing facilities are a popular draw for us and allow us to engage with students and draw them into our activities and events. Indeed many shyer students come to use the computers, but listen in to activities going on nearby before eventually joining in. I began to move Room 101’s provision towards a more people-focussed approach (what we in UBU have come to term social learning, meaning students learning from each other or support staff like myself, in person, and in informal settings). I read about the World Plaza, the SAC at the Seto Campus of Nanzan University, Japan, which had relatively few physical resources but many social spaces where learners could interact with each other. I attempted to move Room 101 in a similar direction. Croker and Ashurova (2012), writing about the World Plaza, found that the key to creating long-term motivation to attend a SAC lies in nurturing the establishment of social bonds between learners, and making language learning fun. Croker and Ashurova (2012) found that students were more interested in relaxing and enjoying conversation in English with their peers than ‘studying’ it. The World Plaza approach assumed that people were the primary learning resource. This was a realization I had also come to. I had come to understand that the best resource Room 101 had was the home students and staff that frequented the centre, as students desperately wanted to practice speaking with native speakers. By designing fun, semi-structured ways to promote communication, I could help international students to mix with the home students and staff, developing their English and forging social bonds. In 2012, Hayo Reinders, in the article “The End of Self-Access?”, suggested that SACs are in danger of dying out, due in part to technological developments, and in part to a lack of reflection on pedagogic practice (Reinders, 2012). Reinders asserts that so many new ways of connecting with information and learners outside of the classroom have emerged via the internet that the need for a physical space for self-access has to be questioned. He suggests that online social networks are gradually replacing the networks of learners in SACs. Social media mean that not only can students access language learning resources online, rather than going to a physical centre, but they can also connect with multiple communities of target language speakers online. Whilst some have challenged Reinders’ ideas (Mynard, 2012), if Reinders is correct and students do prefer using the Internet to socialise, then SACs need to respond in some way. The question however does remain as to whether all students prefer using the internet for language learning in terms of both resources and socialising. In Room 101 I have witnessed over the last 10 years that, whilst our resources are less used, with students (rightly or wrongly) seeing the internet as providing an alternative, when it comes to social interaction, a physical centre is still very appealing. Indeed, increasingly I have found that many international students actively seek out opportunities to socialise and practice their English in-person with home students or students outside of their ethnic group. Another approach I attempted was to make Room 101 more student-led. Heigham (2011) reports on the SAC at Sugiyama Jogakuen University in Japan, which is run entirely by students and has daily discussion groups, frequent events such as workshops or cultural celebrations, and only a few physical learning resources. The student workers in the SAC were six student leaders who took care of the centre, two student grammar tutors, and up to twenty volunteers who hosted discussion groups. Heigham found that the use of student workers increased attendance at the SAC and the centre was promoted as a place where students could talk to and learn from their peers. Kodate (2012), also from a SAC in a Japanese university, found evidence that the presence of student workers helped student users to lower their psychological barriers to entering the SAC. Both of these findings correspond to what I had observed in Room 101. In Room 101 we have built up our volunteer programme over the years so that by 2013/14 we had approximately 40 volunteers working in different capacities. In Room 101, students volunteer as counter assistants (answering enquiries and performing simple admin tasks), foreign language student-teachers (teaching their language to groups of students), English language assistants (helping run English language social learning sessions), and Writing Mentors (students specially trained to get other students to reflect on uses of English in their essays). Our student volunteers are often international students looking for opportunities to gain employability skills or for opportunities to socialise and interact in English. We also attract home students with an interest in becoming English teachers, or with an interest in other cultures. Figure 1 below shows the term time weekly timetable of student-organised events in Room 101. It shows that student volunteers organise an exciting and varied programme of language learning. In Room 101 we have found that student volunteers themselves are often an important draw for other students. Our student volunteers bring their friends to the centre and demonstrate to other students that this is a friendly, exciting space. There are questions which have to be asked about the student-led approach, such as considerations around the training of Heigham’s grammar tutors or Room 101’s Writing Mentors, which cannot be as thorough as teacher training. Heigham (2011) asserted that despite possible shortcomings, her SAC is a dynamic place where students are taking independent control over the development of their own learning (Heigham, 2011), and this has also been our experience. One approach I wanted to try to attract usage was to work more closely with the Language Centre curriculum. This is a strategy closely linked to SACs yet is something I had struggled with in Room 101. The World Plaza scaffolded students’ first SAC encounters by providing a direct connection with classroom learning, in a ‘push-pull’ strategy (Croker & Ashurova, 2012). Teachers ‘pushed’ students to visit the World Plaza by giving them speaking ‘homework’ to be done there. Learners practiced these push activities in class before doing them later in the World Plaza. Activities such as discussing life histories or travel preferences were conducted. The World Plaza sessions were then fed back into classroom activities. To ‘pull’ students, the SAC had regular chat times, lunchtime discussion clubs, movie clubs and guest speakers. This push-pull strategy encouraged students to interact with each other rather than with materials; however, it required close coordination with language teachers (Croker & Ashurova, 2012). Over time I made approaches to the Language Centre to try to work more closely with them, but for a variety of reasons (mostly due to my own pressures) this proved to be difficult. Recently I’ve made renewed efforts, which has led to much more successful collaboration. For example, Room 101 has helped with Language Centre self-access sessions, devising a social learning circuit training model which sees students interact socially in four different facilitated ways which are then also provided as longer activities outside of the sessions. For example, we run a short debate as one of the circuit training activities, then signpost our debate club as an extra self-access activity. We have also devised activities like the Room 101 Challenge, a self-access competition with Student Union tickets as a prize, and have started linking our day-trips into the Language Centre curriculum. All of these push-pull approaches have been successful, with Language Centre students now using the Centre much more. As SAC Manager, I had been running learner training sessions in Room 101 on demand, but by 2006 had witnessed that demand decline to very little. In an article which looked at learner training, Klassen, Detaramani, Lui, Patri, and Wu (1998) looked at a SAC in a university in Hong Kong and found that after learner training inductions, although students recognised the benefits of the SAC, many said they would use it in future only “if time permits.” In fact, Klassen et al. found that very few of the students attended follow-up self-access sessions, with students justifying their non-attendance by claiming that they had time clashes or that they were too busy. The SAC staff admitted that it was usually the case that work pressure and personal obligations prevented students from actually pursuing independent learning (Klassen et al., 1998). This was also my experience and I have struggled for years to engage students in a meaningful way with learner training and independent learning using physical resources. Fukuda and Yoshida (2013), Gillies (2010), and Davis (2013) also found that students struggled to engage with learner training and to find the time to use SACs for self-study. However, many institutions have witnessed huge benefits from learner training programmes which led to effective SAC resource usage (Del Rocío Domínguez Gaona, 2007; Gardner, 2001). Room 101 may look at returning to learner training in future, perhaps pointing students to online resources, and recognising that whilst students might come to the SAC for independent learner training, much of their independent learning may not take place in the SAC. Having tried a number of solutions to declining SAC use, the approach which worked in Room 101 was a materials-light, student-led, social learning approach. This has taken the form of a combination of peer-to-peer support (student-led language classes and writing mentors schemes), informal English speaking sessions (like debating and discussion clubs, IELTS speaking test practice sessions, and English speaking games), computer access, social occasions, and an international community space. Room 101 mainly functions as an informal social space for international students to meet students from other countries. Since we adopted this social learning approach, usage has steadily increased, as can be seen from a measure of our usage in one week in 2013 (see Figure 2 above). The usage is very healthy when compared to the 10 students per day we were attracting in 2006, or even to the 60 students we attracted when foreign language degrees were at their peak. Indeed, due to the small size of the room, it would be difficult for Room 101 to meet any greater demand than this. The social interventions in Room 101 improve students’ language ability (usually English), or somehow enhance the experience of being at university in other ways (such as international awareness, employability, independent learning, and academic achievement). For example, students teach their own languages in the Centre, gaining employability and teaching skills. Writing Mentors help students reflect on their grammar, improving academic achievement. Debating Club helps students understand different perspectives on complex issues, improving international awareness. International students see Room 101 as their home on campus (as will be demonstrated in the next instalment of this column), and an international community has formed around it. The new focus of Room 101 has led to its management being transferred to the Students’ Union, to make better use of the SU’s activities and friendship networks. This transfer has been very successful, with many international students now playing a much more active role in the life of the Union and the Union’s links further helping to acculturate international students. This instalment has looked at Room 101’s journey over the last 10 years, seeing how a decline in language teaching and the availability of resources on the internet have impacted on Room 101’s resource usage. Reinders’ (2012) warnings about online social networks do not seem to have impacted on Room 101 too much, as we have found that students greatly enjoy socialising and learning with each other in person in the SAC. The student-led approach and links with the ULC curriculum have also attracted students to joining in the Centre’s social learning activities, and to volunteering there. The example of Room 101’s changing focus raises questions for the wider SAC community. If SAC resource usage is in decline, then perhaps SACs could try social learning activities like the World Plaza and Room 101. This would be a form of independent learning and important speaking and listening practice. The question of whether there really is a decline in usage of traditional SAC services across the sector, or whether Room 101’s case is unusual, has to be asked. The wider context of SACs will be looked at in more detail in instalment three of this column when we look at a survey of SAC managers across UK HE institutions which examines how, or if, their provision has changed in recent years. Even though our social learning approach was developed primarily as a result of engaging directly with student feedback, it was not until 2013 that we conducted our first in-depth and direct research into student reaction to the new approach. The next instalment of this column will give more details of Room 101’s social learning model, as well as looking at this research. Michael Allhouse has worked in Room 101 for almost 18 years, longer than Winston Smith, Paul Merton, Frank Skinner and O’Brien put together. He was recently awarded International Student Advisor of the Year 2014 by UKCISA / NUS. He works for the Students’ Union at the University of Bradford and is designing other social learning spaces for specific groups of students.